Dr. Woo’s friend and colleague, Dr. Cheng-Kung Cheng honored Dr. Woo’s retirement from the University of Pittsburgh with a special dinner at The Japanese House in Taipei, Taiwan. The dinner was attended by many former fellows, friends and colleagues from Taiwan. A delicious dinner and karaoke was enjoyed by all. 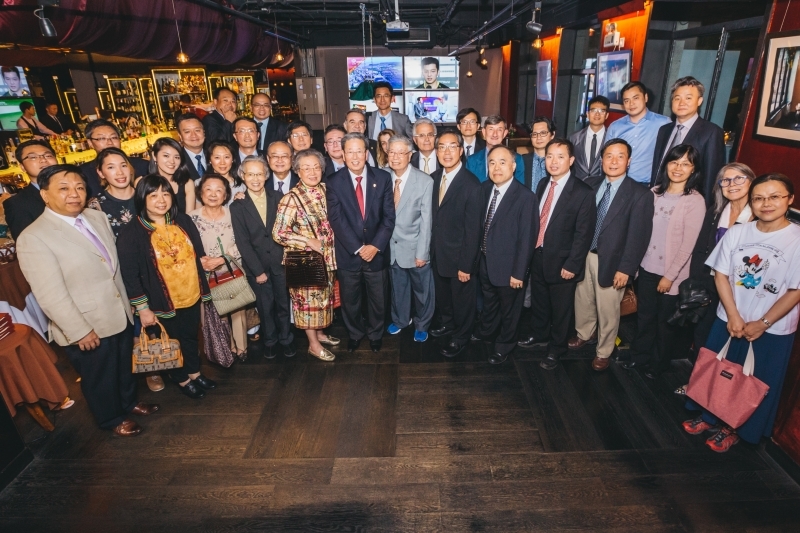 Dr. Cheng-Kung Cheng and Dr. Kai-Ming Chan hosted a retirement celebration for Dr. Woo at the House of Roosevelt in Shanghai, China. It was a wonderful event of good food and fellowship including many speeches given my former fellows, friends and colleagues from around the world. It was extra special that Dr. Woo’s elder siblings, Mr. L-Y. Woo and Mrs. Shu-Lee Chow as well as many other family members were able to attend. The University of Pittsburgh, Swanson School of Engineering, Department of Bioengineering hosted a symposium and dinner to celebrate Dr. Woo’s significant contributions to the university as well as his accomplishments to the fields of bioengineering, sports medicine and translational research both nationally and internationally. The symposium “Bioengineering and Bioscience Research and Education: Think More, Ask More, Do More” was attended by over 115 former students, fellows, residents, colleagues and friends from all over the world. The program consisted of 39 scientific, memories and thank you presentations. Everyone enjoyed a day of friendship, laughter and science. The symposium was followed by a banquet with over 150 attendees at the University Club where Dr. Woo received his new appointment as “Distinguished University Professor Emeritus of Bioengineering” from Provost Patricia Beeson. The banquet speakers included Chancellor Patrick Gallagher, Chancellor Emeritus Mark Nordenberg, Dean Gerald Holder, Professor Chien Ho, Professor Harvey Borovetz, Professor Tin-Kan Hung, Dr. Bruce Simon, Mr. David Root, Mr. Jonathan Woo, Dr. Kirstin Woo and Sister Bernadette Woo. In addition, a display celebrating Dr. Woo’s career was unveiled. It was also a wonderfully opportunity to reconnect with old friends and colleagues. ASIAM is a nonprofit 501(c)(3) public charity organization. Copyright © 2017 SKT-Biz. Theme by SKT Themes.